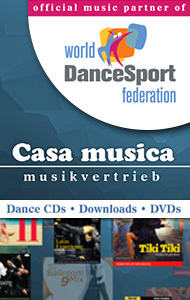 While you are waiting for us to come up with the definite statement on why we have decided on the collaboration with FloDance.com and the monthly subscription instead of the six-month rental fee, we would like you to enjoy the more than 100 recordings of individual couples performing in the early rounds of the GrandSlam Stuttgart. All at no charge whatsoever. Check in the media gallery above for videos as well as photos of many of the couples competing between 10 and 11 August at the Beethoven Hall in Stuttgart. 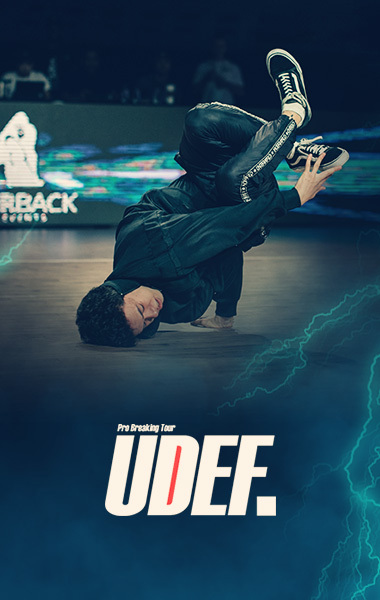 FloSports' Michelle Blank recaps the 2018 GrandSlam Latin Stuttgart for the coverage available through FloDance.com. The platform offers more than just the (recap) recordings of everything that happened on the floor of the Beethoven Hall over five hours: the post-event write-ups by Michelle Blank and the analysis by Peter Maxwell are also part of it. Below is what Michelle had to say about the winners and about the runners-up. You may read all of it here. Marius-Andrei Balan and Khrystyna Moshenska took the highest step on the podium! What a victory for this couple, especially since they were dancing on home turf. For Khrystyna, this is her third gold victory at the German Open Latin GrandSlam in Stuttgart. Previously, she had won this event with ex-partner Nino Langella in the years 2013 and 2014. Timur Imametdinov and Nina Bezzubova – what power and pure joy they were to watch on the floor last night. They truly killed each and every performance they put on, with standing ovations throughout their final dances. Even though they ended up taking the second position on the podium, it was quite evident who the audience favored. The German Open Championships ended on a high note last night in Stuttgart, when the (almost) hometown couples took first and second in the GrandSlam Latin after eight rounds of dancing. Our collaborator Marina Melnikova worked until very late to send us her batch of pictures taken during the final. There will be many more to come over the coming days. All of us on the WDSF Communications team worked very hard to bring you event coverage in an unprecedented quality and quantity. Maybe there is a need for some more explaining why we chose to put some of it behind a payment wall. But we'll do that on Monday. We also apologise for having neglected our social media somewhat. There was just too much to do on all the other fronts. Thanks for following. We'll be back on Monday. The headline of the GOC 2018: "The Chinese are the new Russians!" It was another night of nights for the Stuttgart audience. With many local and regional DanceSport enthusiasts buying the GOC tickets for Saturday as soon as they go on sale, they were in a solid majority tonight. Just as in the days of Ferruggia - Koehler and Segatori - Sudol (Dance Club Astoria) in Standard, four dancers who have represented a nearby dance club at one time (Pforzheim; two of them still do) made it onto the podium in the GrandSlam Stuttgart in Latin. Marius-Andrei Balan - Khrystyna Moshenska, GER, were the winners; Timur Imametdinov - Nina Bezzubova, GER, were the runners up; Andrey Gusev - Vera Bondareva, RUS, finished third. We are honoured to have DanceSport legend and WDSF Presidium Member Peter Maxwell on location here in Stuttgart. Peter helps us in the development of a concept that we hope to establish as a permanent feature in (nearly) all of our future **** and ***** productions for FloDance.com. Instead of a running commentary over spectacular imagery and quality sound, we prefer to have a recognised expert address matters that he or she considers topical with regards to a particular competition - immediately prior to and after it is taking place. Always in a separate segment. The rest of the information we would want the masters of ceremony and our elaborate graphics to provide to our viewers on FloDance.com. Here is what Peter had to say in the lead-up to the decisive stages of the 2018 GrandSlam Latin Stuttgart. We have brought the second edition of "The Semley Perspective" in front of the payment wall for you to see what to expect behind it. "Semley" refers to name of what was long considered the most popular studio worldwide. Peter Maxwell was the "Semley Studio" in London. At 19:15 UTC/GMT the WRRC World Championship Boogie Woogie moves into the Beethoven Hall at the GOC Stuttgart. Don't miss this DanceSport action: right after the Opening Ceremony we'll get to watch the SLOW Final LIVE. In strong contrast to the regular crowd, the Boogie Woogie fans are on the floor itself for an optimal vantage point. Tonight's LIVE webcast will not only include the three final rounds of the 2018 GrandSlam Latin Stuttgart but also the 2018 WRRC World Championship Boogie Woogie. 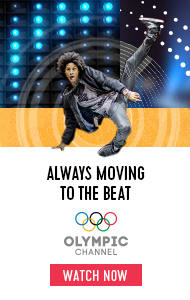 We will show you the Opening Cermony plus the two finals: SLOW and FAST. Here is the schedule for that. 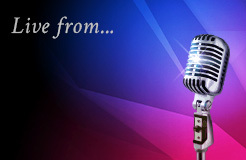 "LIVE, from Stuttgart, this is SATURDAY NIGHT and LATIN," will be the opening line to tonight's webcast that will start at 17:00 UTC/GMT wih today's ALL EYES ON YOU, the daily studio show from the GOC with news, views and analysis. Today's interview is with Timur Imametdinov - Nina Bezzubova, GER, who will try to improve on last year's third-place finish tonight. Under the title "The Semley Perspective," we show you a pre-event analysis on yesterday's GrandSlam Standard by Peter Maxwell, a Member of the WDSF Presidium and a true DanceSport legend. Peter will also analyse prior to the GrandSlam Latin Semi-Final. All of the above will be available for free, open. From the quarterfinal starting at 17:45 UTC/GM, the stream will be behind a payment wall. 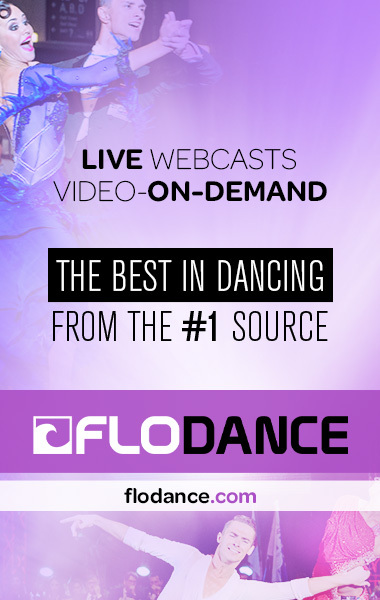 You would be expected to subscribe to the FloDance.com platform for an amount of 12.50 US$/month, provided you commit to a one-year subscription. The alternative would be a monthly subscription of 30 US$.